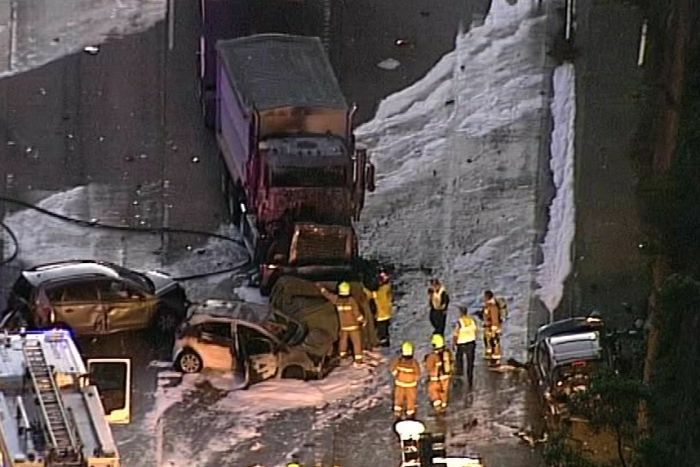 A truck driver has been charged after a fiery crash on the M1 north of Sydney killed two people, severely injured five others and caused peak-hour traffic chaos last night. It is alleged the truck crashed into the back of one of the cars and burst into flames on the M1 near the Mooney Mooney Bridge about 5:00pm. Two men in a ute, aged 19 and 52, died. They have not yet been formally identified. The 30-year-old truck driver has been charged with multiple counts of dangerous driving occasioning death and one count of dangerous driving occasioning grievous bodily harm. 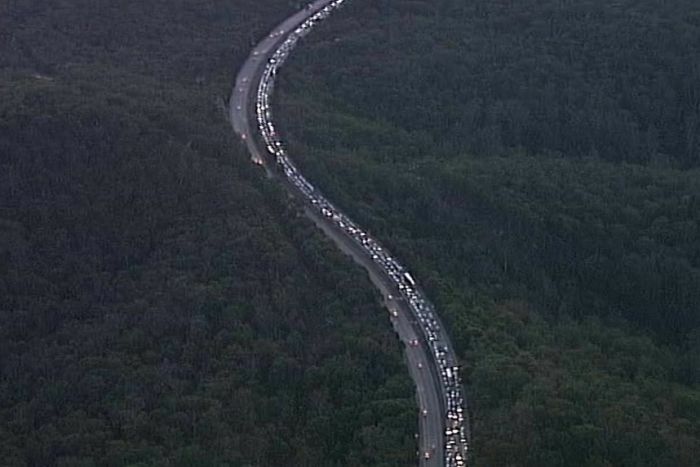 Five others were taken to hospital after the peak-hour smash which also involved another five cars. There were flames and plumes of black smoke at the scene after the crash and huge traffic delays stretching up to 10 kilometres along the M1. A 75-year-old woman, who was driving a sedan, was taken to Royal North Shore Hospital for further treatment. The remaining drivers and passengers — four women — were taken to Gosford Hospital. The truck driver was also charged with negligent driving occasioning death and negligent driving occasioning grievous bodily harm. He has been granted bail and will face court later this month.